Have you ever wondered why new-job “probation periods” are often three to six months? This seems awfully long to me. However, I do remember my “in company” days – i.e. my employment in full-time roles – with starting new jobs being a vastly different experience to my later professional services and consulting roles. In this blog, I pose the question as to whether there needs to be a difference. And whether the “induction and acclimatization process” utilized by consultancy types could also be used by IT service management (ITSM) professionals as they change roles. The bedding-in time for an employee is usually much longer, smoother, and has less time pressures that that of a consultant (where the higher-cost charging clock is loudly ticking). And from the consultant perspective, a new role requires you to develop a rapid understanding of the key stakeholders, the culture, the business landscape, the technology services, and the actors that make up the domain you are working within. There’s definitely a need for rapid acclimatization and the ability to quickly start demonstrating some form of value to the customer. 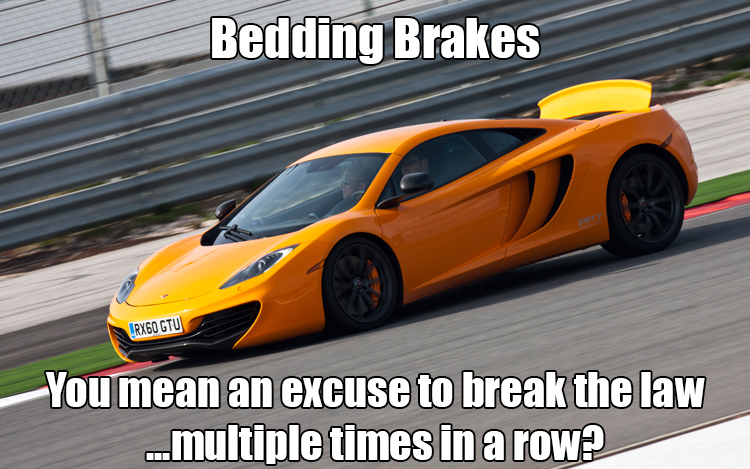 It’s a bit like the two approaches for bedding-in car brakes (or those of a disk-brake bike). In the car scenario, one can be completed over several hundred miles avoiding hard braking and keeping the speed down. Whereas the other uses a combination of fast acceleration, speed, and fairly moderate braking to achieve the same thing in a much shorter space of time. The latter represents the consultant route to productiveness. So why shouldn’t an employee take a similar approach to being productive in their new role (and, potentially, new company)? I strongly believe that adopting a consulting-engagement approach can help in your new ITSM job, or perhaps non-ITSM, role. If we start at the top, a new CIO will probably adopt something either based on, or similar to, the Gartner CIO’s first 100 days toolkit (this is 20 business weeks, which isn’t much quicker than a six-month probation period). With other ITSM jobs and roles, there’s no reason not to develop (and progress) a plan to help you to quickly get into the new job and accelerate your time to value. To help you with this, I thought I’d document a high-level view of some of the activities I conduct as part of a new consulting service to get me up to speed with a new customer, their needs, and their organization. Read the company’s annual report. You can learn a great deal about a company from its publicly-available information. Explore a company’s internet presence (there are lots of ways of doing this, from Google searches through to data-mapping tools such as Maltego). Find key stakeholders on LinkedIn and try to understand more about both them and the company. Visit company points of engagement (physical stores, online stores, social media, etc.) to get a feel for how the company operates. Some of this will also be helpful when changing roles within your existing company. Seek out introductions. Your manager will hopefully be keen to help you. Make a point of getting face time with key stakeholders even if it’s just to get a quick introduction. As well as aiding your role understanding, it will also make subsequent interactions much simpler. Understand the new business (area). You can play the newbie card and often go exploring. A great place, if an organization has one, is the company canteen or kitchen area. You get to meet new people and get a feeling for the organization’s culture. I’m not talking TCP/IP (though subject to the role that may also be helpful), I’m talking about people interactions. Look for meet ups, social events, and training activities that you can participate in that can give you a wider exposure to the business. Engage the wider team(s). It’s important to engage with the people that you’re working with. It’ll also help you get the inside track (even if biased) on the organization’s (or team’s) culture, positives and negatives, and operational issues. Seek out the customer(s). Don’t be afraid to ask the customer(s) of your new role for feedback (if you can get a survey going, then great, but this is not always possible), but I’ve found just talking to people can get some really good insights. Read the relevant policies, processes, and procedures. It’ll give you invaluable information on the new organization/team, its policies, and help you to navigate the internal landscape. Get your paperwork in order. It’s really important that you have all the information you need to accomplish your goals. If you’re a manager/leader with a team, you need to ensure that you have all the related HR documentation like staff job descriptions, etc. While job specifications often aren’t in alignment with reality, it’s a good starting point and will help you with any people-based gap analysis requirements. Clearly this needs to be scoped for the role/domain you’re operating in but, in general, I like to first keep my vision wide and then focus on the key areas with a more laser-like focus. The bottom line is to understand what needs to continue to be done (as-is), what needs to be changed, and potentially what can be dropped from the job description you signed up to deliver against. So, this is how I quickly get up to speed in a new consultancy role. Do you think it would work for you when changing full-time role? Please let me know in the comments. 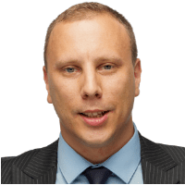 Daniel Card began his career within the IT support arena over 17 years ago, and he rapidly worked his way up from front-line services to technical and solution architecture within the first few years of his career, working with a broad range of global companies. This helped him to develop skills in a wide range of both business and technology domains, spanning technical operations, service management, and solution architecture. Daniel has spent the last 11 years consulting, with a focus on IT strategy, IT business management, enterprise architecture, service management, and cybersecurity. As the Owner and Principal Consultant at Xservus Advisory Services, Daniel’s mission is to empower businesses to leverage people, process, and technology to reach their ultimate business objectives.